Pharaoh Coturnix Quail orders have to be on its separate order form from other poultry. They are shipped separately and please do not add anything else to the shopping cart with them. We ship these chicks June - August of each year. 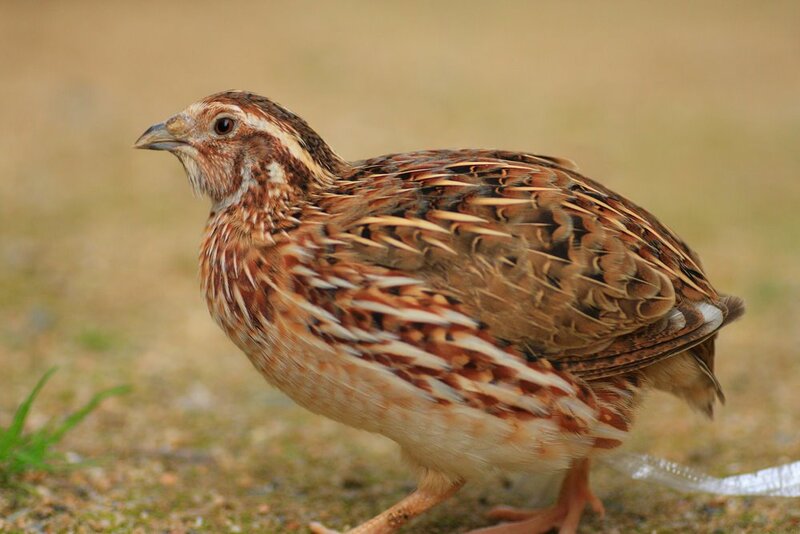 Coturnix is also known as Japanese quail or Jumbo Brown quail. They can product up to 300 eggs a year, rarely go broody, are full grown in 9 weeks and the ideal butcher time is at 11 weeks of age. They require very little room and make very little noise if any. All Game Bird orders need to be on a separate online order so you order is processed properly.